How to create a Java client for consuming SOAP Web Service ?. 1. Creating a Java application as CalculatorServiceClient. 2. Adding Web Service client to the Java application. 3. 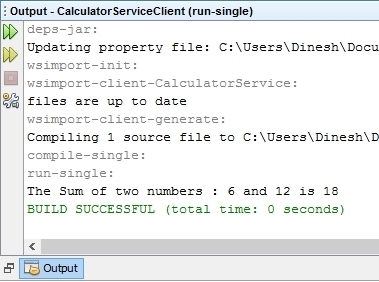 Creating a Java client class for consuming CalculatorService Web Service. 4. Build and Run the Java client. 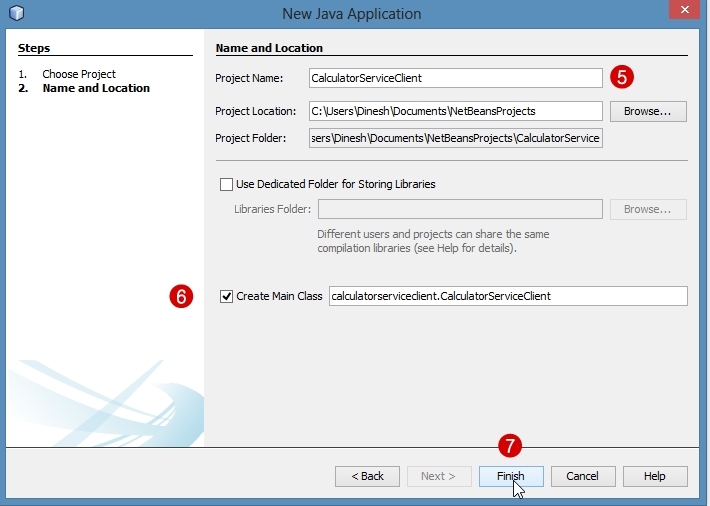 Creating a Java application as CalculatorServiceClient. New Project dialog box gets open. Step 2 :- Under Categories: select Java. 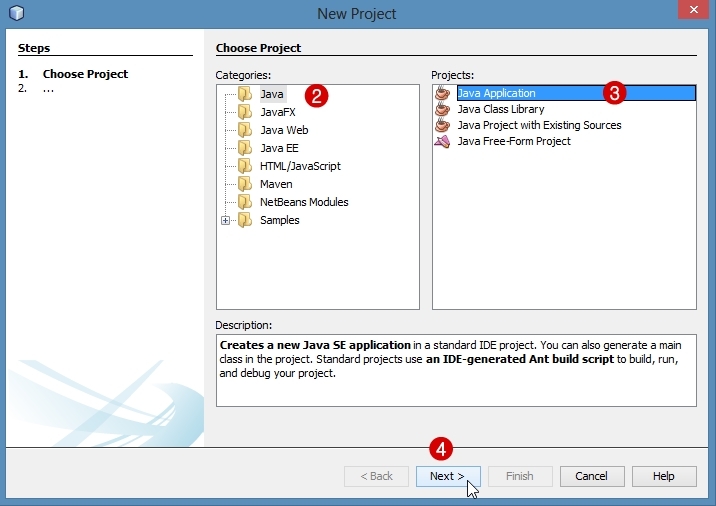 Step 3 :- Under Projects: select Java Application. Step 5 :- Under Name and Location, provide Project Name: as "CalculatorServiceClient". 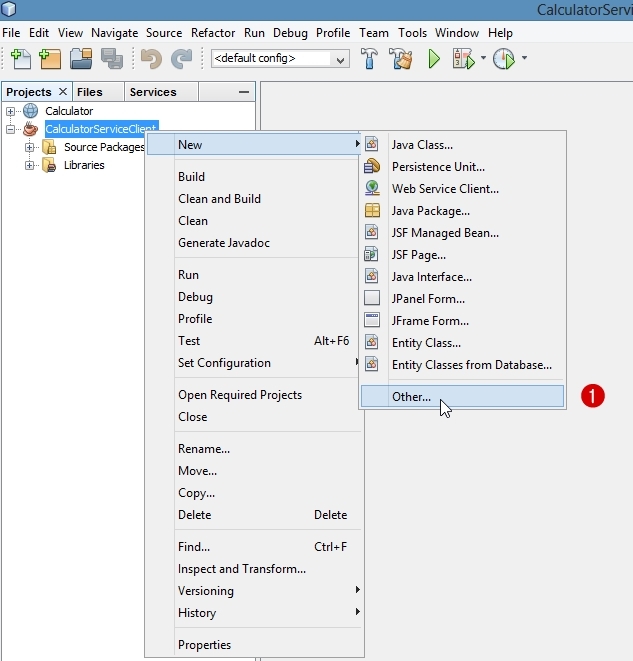 Step 6 :- Select check box for (Create Main Class) as it creates a main class which will be our Web Service Java Client. 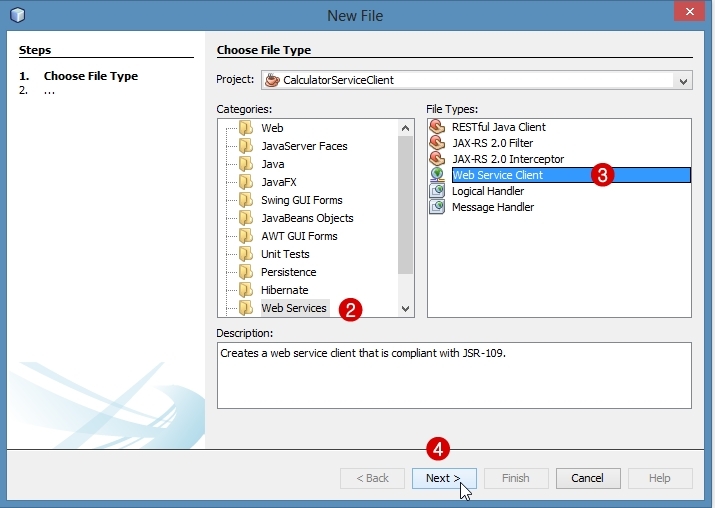 Adding Web Service client to the Java application. Step 2:- New File dialog box gets open. Under Categories: select Web Services. Step 5:- New Web Service Client dialog box gets open. 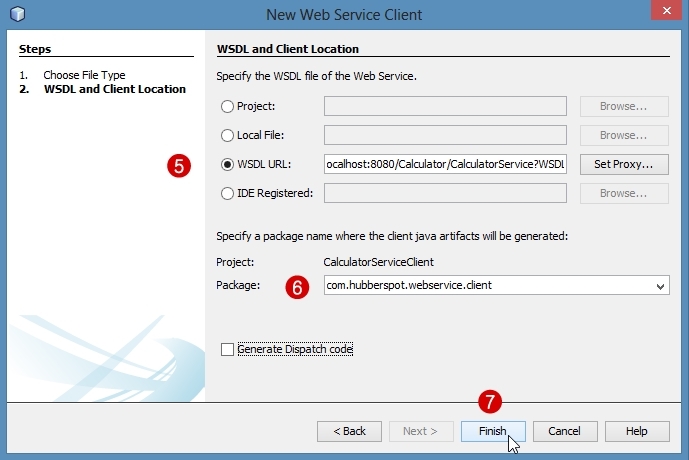 Under WSDL and Client Location , specify the WSDL file location for the CalculatorService Web Service by following options as Project: , Local File: , WSDL URL: , IDE Registered:. Select WSDL URL and provide the url for the deployed CalculatorService WSDL on the localhost. As we have deployed CalculatorService on the GlassFish Server in the above mentioned post, here it is pointing at "http://localhost:8080/Calculator/CalculatorService?WSDL", localhost is the ip address for it. If Web Service is deployed on another server provide the ip address for it on the WSDL url. Step 6:- Enter the package name. Creating a Java client class for consuming CalculatorService Web Service. Open the CalculatorServiceClient.java and add the following code to it. // using the port of the proxy service. 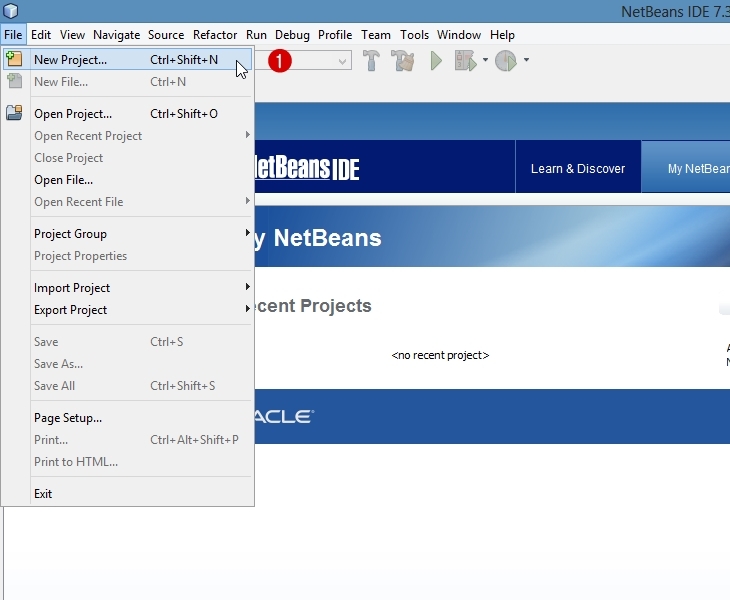 Step 1:- Right click CalculatorServiceClient project directory and select Build.